Hand a cup of tea to any tea-drinker, and you’re likely to see them doctor it up in a whole variety of ways. Cream? Black? Sweet? Even within those categories, the customization choices are endless. 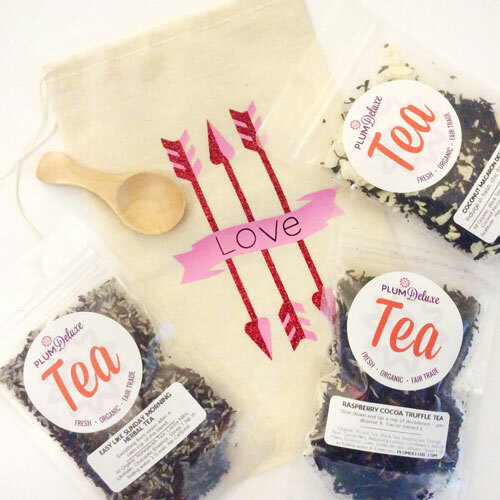 One of the most impactful ways that you can change the flavor profile of your tea to suit your liking is through how you choose to sweeten it — but even that’s not as easy as it seems. To help you craft your perfect cuppa, we’ve compiled a comprehensive guide to the best sweeteners for tea. Sweet, indeed! First, let’s chat a little bit about flavors. For the most part, when doctoring up a cup, you don’t want to alter it so much that the original inspiration from the tea blender disappears. Just like any addition (milk or lemon, for example), the type of sweetener you choose can have a drastic impact on what flavors it brings out in (or introduces to) your tea. Honey tames bitterness, and brings a golden-syrupy flavor to your beverage. Great at highlighting floral notes or baked-good essence. Maple syrup is similarly complementary to honey, but with a more traditional (and obvious) maple flavor. An unexpected nuttiness can often be found with maple-sweetened beverages. White sugar or simple syrup acts as a good blank-slate sweetener, though many avoid due to the high glycemic rating, and some say it changes the flavor of their tea. Simple syrup is a fan favorite for iced tea, as it requires no melting and mixes beautifully with cold liquid. Rock sugar acts similarly to white sugar or simple syrup, sweetening without changing the flavor, with a less-processed added benefit. Agave syrup has half as much of the glycemic impact of honey or table sugar, with a similar kick of sweetness. Be careful not to over-use, as it is very sweet! Stevia packs a very low glycemic punch, though it has a distinctive, slightly herbaceous-chemical flavor that can be divisive. Coconut sugar adds toastiness similar to a brown sugar, with earthy undertones that also works well for those seeking a low-glycemic option. Coconut oil, surprisingly, can add a light sweetness and earthiness that especially compliments green teas. Froth or blend into your tea so as not to leave an oil slick sitting atop your liquid. Blackstrap molasses adds a bready, malty sweetness that compliments black teas well, but is often too overpowering for any others. Use lightly! Now that we know a little bit more about the most common sugars we’re working with, we can use them to our advantage! 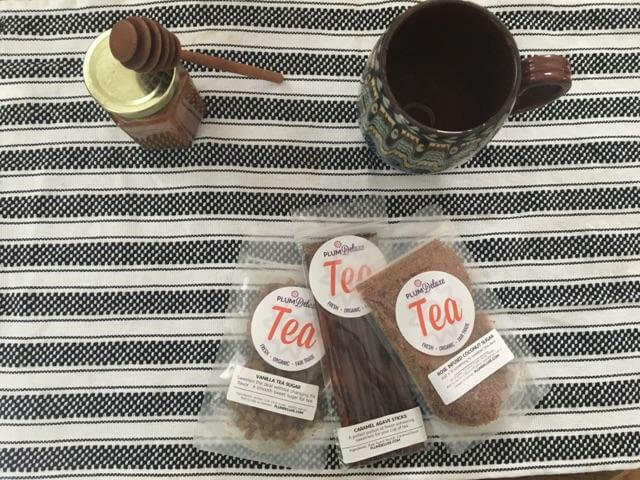 Some teas and sweeteners were made for each other, while others (think molasses + a light white tea — blech!) should be kept far apart. 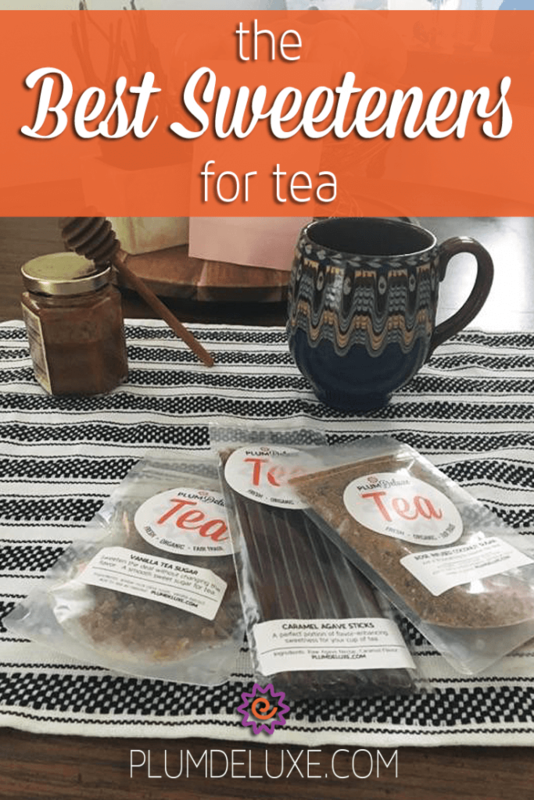 A general rule of thumb is to think about the flavors that are highlighted in your tea, and find a sweetener that mimics these flavors nicely. As we’ve learned above, the flavor of some sweeteners can result in completely different cups of tea depending on how you choose to brew. For example, we know that honey often lends a syrupy, golden, almost-floral note to teas. Added to a mint tea, you’ll end up dampening the fresh bite that mint usually gives and instead end up with a more muted, candied-mint flavor in your cup. Whereas a simple syrup in mint tea? Is going to leave you with that fresh, lightly sweet, and soothing finish that we all know and love. Feeling inspired? 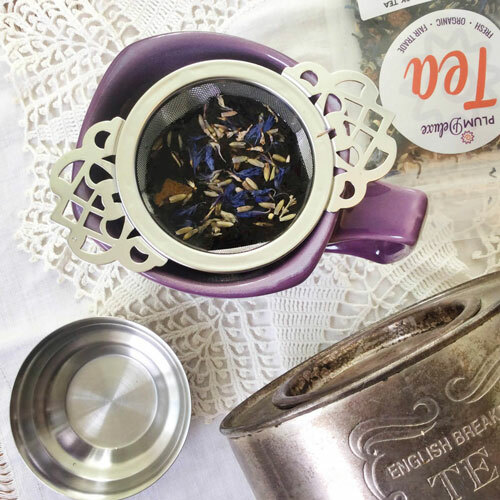 We’ve gathered some of our favorite tea combinations below to help you explore new tea-sweetener pairings and expand the versatility of your tea collection ten-fold! 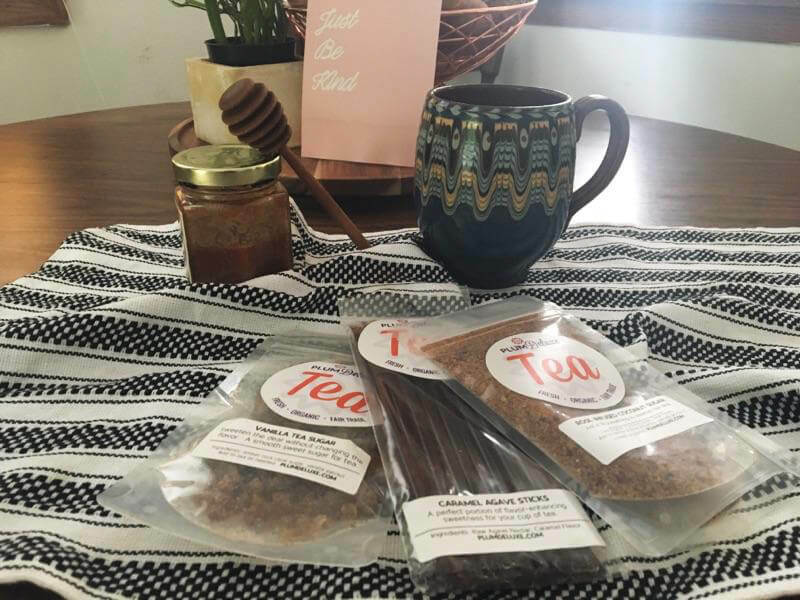 While it may seem a little intimidating to stray from traditional white sugar to sweeten your tea, adding sweetener can absolutely transform a cup. 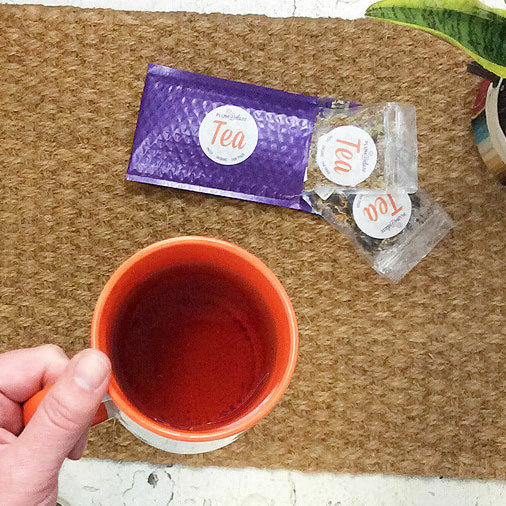 Once you know what you’re working with, a whole host of possibilities opens up within your tea cabinet. 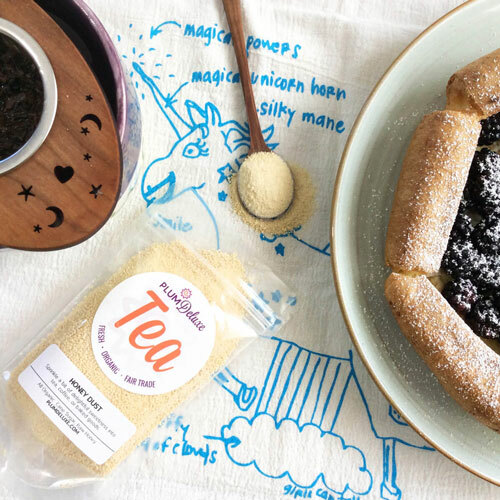 Keep this guide to the best sweeteners for tea close by, and you’ll be whipping together tasty new concoctions in no time!